LandEscape explores the early 20th century American modernists who exhibited their innovative paintings at the groundbreaking 1913 Armory Show, and compares it to the work of artists from the 21st century who have rediscovered and reinvigorated the genre. This show is comprised of approximately 30 works and reveals how a diverse range of artists broke from the established landscape painting traditions of their predecessors to create a new visual language that profoundly changed the way landscape was perceived. Artists such as Marsden Hartley, John Marin, Alfred Maurer, Helen Torr and Marguerite Zorach all engaged with what was considered to be an unexceptional genre. 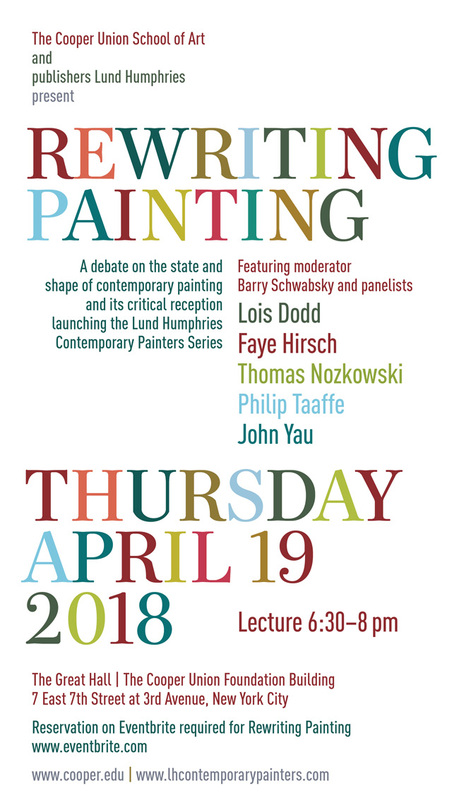 One hundred years later the same innovative impulse has once again emerged in the works of contemporary artists Jo Baer, Lois Dodd, April Gornik, Shara Hughes, Alex Katz and Judy Pfaff who have again reinterpreted the landscape. Curated by Olga Dekalo. Most people use five-by-seven-inch sheets of aluminum as a refuge against the outdoors—they help keep a roof watertight. Not Lois Dodd, who, at ninety-two, still carries them into the landscape of Maine to paint en plein air, as she has for decades, part poet and part reporter. Flashing, the material’s name, also tidily summarizes her process: Dodd paints quickly with oils, wet into wet, finishing each little gem in one session. Eighty-five of these pictures line the walls of the Alexandre gallery, in midtown (through Feb. 9). The time of day and the scale both shift, as Dodd zooms out to float a dime-size amber moon in an inky night sky or zooms in to discover a yellow sunflower petal in a shady patch of green grass. Bodies appear, most endearingly as a series of fleshy female nudes. The show is an antidote to ostentation, until Dodd introduces a handful of non-plein-air Trumps, a jarring reminder that there’s now no respite from politics in American life. John Walker discusses his creative process and fascination with the coastline of Maine with curator and art historian Jennifer Samet, who first interviewed him in 2013 for her ongoing column in Hyperallergic, "Beer with a Painter." The declarative stripes and zigzags that populate Walker’s recent works, made with emphatic, nested strokes of a loaded brush, can be read in many ways. They announce the abstractness of the picture, asserting its existence as a confrontational object with their generous scale and unabashed geometry. For anyone aware that Walker’s history includes an extended sojourn in Australia, the repetitive, varied patterns of the stripes and angles might provoke associations with Aboriginal or tribal art of the Pacific, which sometimes had repercussions in his earlier work. But these elements take on other meanings, in relation to coastal Maine. The insistent but irregular rhythms of the nested stripes can be seen as graphic versions of the changing rhythms of how the ocean meets the shore, as waves or tide, while the dizzying repetitions of the strokes can be interpreted as distillations of the hypnotic effect of breakers. And more. Or less. Will Barnet is a giant in the history of 20th Century American Art. He was widely associated with the most prominent figures in painting spanning several generations and movements, from Stuart Davis and Yasuo Kuniyoshi, to James Rosenquist and Cy Twombly. Entwining figurative and abstract elements with personal and universal themes, Barnet’s practice charts an extraordinary progression through 20th Century American painting. Will Barnet: Family Homage features 29 rarely exhibited paintings drawn from the artist’s most personal body of work, those retained by his family and a foundation created in his name. The exhibition is organized by the Ogunquit Museum of American Art in collaboration with the Barnet Foundation. An esteemed figure in contemporary painting, Walker has been called “one of the standout abstract painters of the last fifty years” by The Boston Globe. And art critic John Yau writes, “He makes paintings that you can move around in, argue with, think about, and chew on.” From 1999 to 2014, Walker led the Graduate Program in Painting at Boston University, helping to make it known for excellence in painting at the graduate level. Prior to that he taught at Cooper Union and Yale University. The focus of this exhibition is a series of six large works on paper created by John Walker during a visit to Sydney, Australia, in 2012. Titled Sydney Botanical Garden they respond to a bamboo plant that the artist encountered. Walker worked on-site, often attracting onlookers, when he captured his subject in ink and acrylic and subsequently tore and collaged several of the works. Exhibited here for the first time, these stunning works surround viewers with a luscious, richly textured and colored, immersive environment. John Walker’s art offers a bold and imaginative demonstration of the possibilities inherent in the medium of drawing today. Walker has held a residence in Maine since the 1980s and, after concluding his service as director of Boston University’s Graduate Program in Painting and Sculpture, now lives in Walpole. John Walker has represented Britain in the Venice Biennale and has received numerous awards and distinctions. The Museum of Modern Art, New York; the Phillips Collection, Washington, D.C.; The Tate Gallery, London; the Art Gallery of New South Wales in Sydney, Australia, all exhibited his work in solo exhibitions. The Bowdoin College Museum of Art organized an exhibition of Walker’s work in 2001. The Center for Maine Contemporary Art in Rockland, Maine, presents John Walker: From Seal Point, from June 17 through October 29, 2017. Sydney Botanical Gardens, 2012, No. 1 - 6, ink, acrylic and collage. John Walker speaking about his exhibition with Bowdoin curator Joachim Homann and museum co-director Frank and Anne Goodyear. CMCA director Suzette McAvoy is at left. A drawing by gallery artist Neil Welliver is included in the exhibition, "Why Draw? 500 Years of Drawings and Watercolors at Bowdoin College"
This exhibition surveys the Museum’s distinguished collections of drawings, which was founded by James Bowdoin with a bequest in 1811 and is widely regarded as the first in the country. This overview features rarely seen works by artists from Carlo Maratti and Peter Paul Rubens to Winslow Homer, Ed Ruscha, Eva Hesse, and Natalie Frank. Throughout the last 500 years, artists found ingenious ways to capture their observations, visualize information, and work through pictorial ideas. They drew to learn, to teach, and to communicate with workshops, colleagues, and collectors. The intimacy of drawing makes it an absorbing field of study for anyone interested in human imagination and creativity. With their frequently scant brushwork, marks and indications of natural phenomena, the 10 landscape paintings and three graphite drawings in “Lois Dodd: Early Paintings” at Alexandre Gallery form a real eye-opener. Ms. Dodd, who is 89 and has only lately been receiving the attention she deserves, made these works between 1958 and 1966. This show is probably their biggest reunion since then. The gathering reveals an ambitious, sometimes awkward painter devoted to working in the open air who felt compelled to respond to Jackson Pollock and the radical allover compositions of his abstract drip paintings. Alex Katz had done something similar in the early 1950s in paintings in which he worked the branches of bare winter trees into black crisscrossing networks. Ms. Dodd found a different solution: the dispersion, sometimes across nearly empty backgrounds, of discrete brush strokes that sometimes but not always hint at leaves, grass, trees, rocks and streams, along with a couple of tiny fairylike figures. The freest, most notational works are two titled “Figure in Landscape” (1962-63 and 1963) and a third, “Yellow Pond” (also 1963). But abstraction was ultimately not in Ms. Dodd’s game plan. She circles it with marvelous aplomb in two fuller but still scattered compositions, both titled “Pond,” from 1962. In several other paintings, cows enter the picture, most decisively in “Cows and Clouds” from 1961, in which two animals seen from awkward perspectives lead into a wonderfully painted, relatively conventional vista. With the 1966 “Apple Tree,” all seems resolved. The representational style that Ms. Dodd has since explored comes into focus with paint handling and abbreviation yielding their own abstract forms. This is a great show for painting students and also for students of painting. Alexandre Gallery is pleased to announce recent museum acquisitions by Amon Carter Museum of Art, Smithsonian Museum of American Art, Sheldon Museum of Art, and the Phillips Collection. George Bellows, The Fisherman, 1917 acquired by Amon Carter Museum of Art, Fort Worth, Texas. Tom Uttech at Smithsonian Museum of American Art, Washington, D.C.
Tom Uttech, Mamakadendagwad, 2015 - 2016 (It is Astonishing) acquired by Smithsonian Museum of American Art, Washington, DC. Tom Uttech, Mamakadendagwad installed at the Smithsonian Museum of American Art. Lois Dodd, Ice Opening and Shadow, 2001 acquired by the Sheldon Museum of Art, Lincoln, Nebraska. Gregory Amenoff at The Phillips Collection, Washington, D.C.
Gregory Amenoff, Trinity (for Van), 1982 acquired by the Phillips Collection, Washington, D.C.
Gallery artists Lois Dodd and Sally Hazelet Drummond have both been included in the exhibition "Inventing Downtown: Artist-Run Galleries in New York City, 1952–1965" at NYU's Grey Art Gallery. The exhibition will run from January 10 - April 1, 2017. Dodd and Drummond were both members of the artist-run gallery scene which operated primarily in downtown New York and set the stage for the art meccas of Chelsea and the Lower East Side. The exhibition is accompanied by a 296-page book of the same name. For more information, please visit Grey Art Gallery's webpage. Recent press for the exhibition includes an article titled 'Inventing Downtown' Recalls When Artists Ran the Galleries, written by Randy Kennedy of The New York Times. Click here to read the article. Lois Dodd is the 2016 Donald Jay Gordon Visiting Artist. Featuring a variety of paintings made between 1968 and 2007, this exhibition reflects Dodd’s life-long fascination with windows and similar structures that focus attention and kindle new ways of seeing. Lois Dodd: Windows and Reflections will be accompanied by a color catalog with an essay by Barry Schwabsky. The exhibition will feature sixteen New England-based artists who are making significant contributions to contemporary art in the region. Showcasing the work of painters, sculptors, video artists, book illustrators, performance artists, and photographers, the exhibition will occupy the main galleries of the Museum and extend into the Sculpture Park with new site-specific commissions. Focusing on groundbreaking experimentation in the New York art scene that spawned our contemporary art world, Inventing Downtown: Artist-Run Galleries in New York City, 1952–1965 chronicles the development of new art forms and practices in fourteen key artist-run and experimental galleries, including the Tanager, Judson, and Reuben. The exhibition is divided into five sections: Leaving Midtown, City as Muse, Space and Time, Politics as Practice, and Defining Downtown. Each features paintings, sculptures, installations, and photographs by well-known artists—such as Jim Dine, Allan Kaprow, Alex Katz, Claes Oldenburg, and Yoko Ono, as well as by others who deserve to be better known. Inventing Downtown is curated by Melissa Rachleff, clinical associate professor in NYU’s Steinhardt School. Elena Ona Barnet died on Monday, Oct. 10 in Brunswick, Maine. A longtime resident of New York City, Elena had come to Maine – a second home – to spend her remaining time with family. Born on July 24, 1923 in Kaunas, Lithuania to Jurgis Ciurlys, a government minister and scholar, and Elena Ciurlys, a concert pianist. Elena was the younger of two daughters. In her late teens, at the height of World War II, Elena pursued a passion for dance, studying modern dance in Vienna, Austria. After the war, Elena’s parents were increasingly concerned about the danger represented by Soviet rule, and arranged for her to emigrate. She arrived in New York City in 1947 (passing through Ellis Island), and lived with her sister Janyte and brother-in-law, who had been living in the United States for over a decade. In her early years in the country, Elena explored various occupations. These included work as a resettlement aid for fellow immigrants at the Lithuanian consulate, and as a waitress at Schrafft’s in New York City. A highlight of her first few years in the states came as Elena traveled the country as a member of a professional dance troupe, returning to her performance roots honed years earlier. In 1953, her association with the Arts Students League in New York led to her initial meeting with artist Will Barnet, whom she would marry within three months. Ona Barnet, their only child together, was born a year later. Elena also became stepmother to Will’s three sons from his previous marriage. As Elena raised Ona, she found herself drawn to the world of art that her husband inhabited. Surrounded by artists, musicians and writers, she found a home in the creative community of New York City and Provincetown, MA. She was also pursuing an undergraduate degree in psychology from The New School, followed by a Master’s degree in social work at Hunter College. She worked at Memorial Sloane Kettering as a social worker for over ten years. Summers in Maine would prove an enormous influence on her family’s life; the state becoming a major influence on Will’s work and eventually home to her daughter and grandchildren. The muse for many of her husband’s most iconic works, she was an equally strong force in the lives of her daughter and grandchildren. As grandparents, she and Will would leave their artist residence above the National Arts Club in Gramercy Park, where they were active members, and spend each summer at her daughter’s inn on the coast of Maine. After her husband’s death in 2012, Elena remained in New York City, becoming director of the Will Barnet Foundation. As director she took on the responsibility of advancing her husband’s artistic legacy, remaining close to Will and to the art world that had been their home. Elena is survived by her daughter, Ona Barnet and husband Randall Gowell; stepsons Peter, Richard and Todd Barnet and their families; grandchild Will Porta and his spouse Roslyn Gerwin; grandchild Ellie Porta-Barnet and her spouse Andrew Rice, and great-granddaughter Willa Rice. In lieu of flowers, donations can be made in Elena’s memory to the Will Barnet Foundation. There will be a private service for family. Both she and Will are buried in Trinity Wall Street Cemetery at Broadway and 155th Street in New York City. 8. Gregory Amenoff at Alexandre Gallery, through October 29. The art of painting is alive and well in this luminous exhibition of recent works by New York artist Gregory Amenoff. Though fundamentally abstract, the fourteen works on view all refer to landscape in some way, and convey a rather mystical reverence for nature. Early Bright, for instance, showing a brilliant yellow starburst radiating toward a salmon-pink sky, is unabashedly sensuous, and suggests an almost hallucinatory sunrise vision. Other works, such as Clearing (for JB) and Flood feature sinuously undulating and overlapping curving shapes. In the former, the shapes are yellow, trimmed in blue, and stretch from the top center toward the lower portion of the composition, surrounded on either side by highly stylized vegetal forms and organic shapes. There is a consistent sensuality and muscularity in Amenoff’s application of paint, and in the impasto surface textures he achieves. Aside from technical richness, the works bear a significant art-historical depth especially in their references to American modernist painters like Dove, O’Keeffe, and Hartley, as critic and painter Stephen Westfall emphasizes in his essay for the show’s catalogue. After spending some time with this exhibition, Amenoff makes a convincing case that the medium of painting is still the best way by far to express the euphoric state of being that one may experience in the presence of natural phenomena.